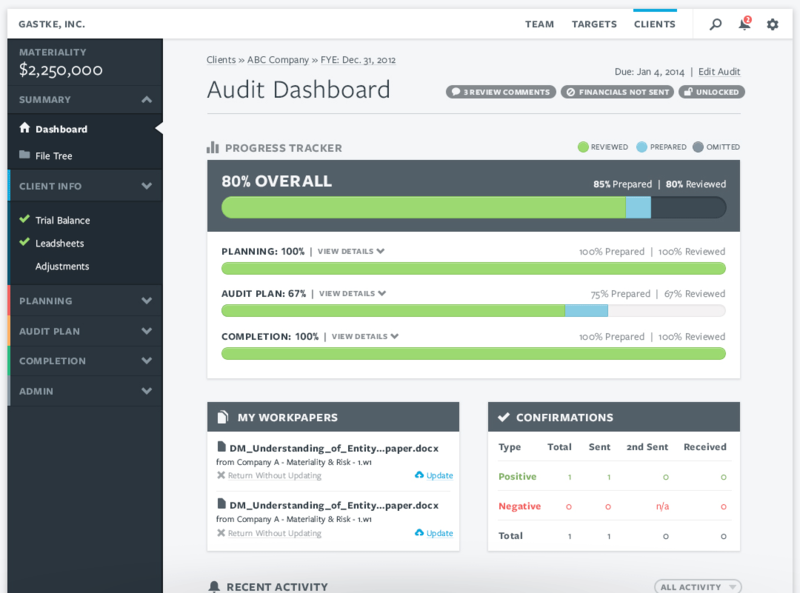 AuditFile delivers intuitive interfaces, simple pricing, no contracts, and a powerful feature set that’s geared toward making audit processes, tracking, management, and accuracy simple, too. AuditFile delivers all the benefits of a paperless audit system without the need to download or install any software. Your firm will easily maintain compliance with all auditing standards and requirements, and your data and files are more secure and accessible than ever. 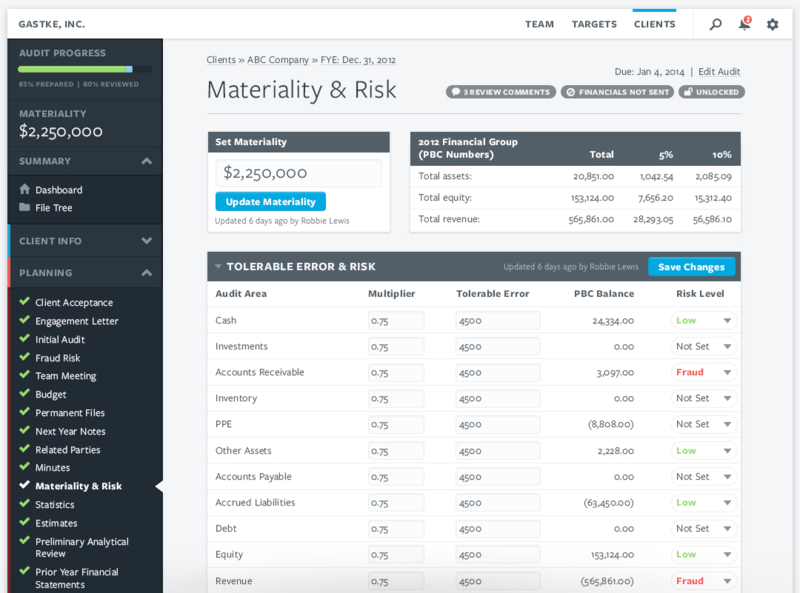 More than just a tool for auditors, AuditFile tracks firm metrics from top to bottom, enabling the entire organization to operate at peak efficiency. Every transaction is protected with 256-bit Transport Layer Security (TLS) encryption— your data and files are dramatically more secure with AuditFile than when they are stored on local hard drives and laptops. Learn more about our AuditFile security and compliance here. AuditFile can be accessed from any connected device, anywhere in the world, 24 hours a day, 7 days a week. 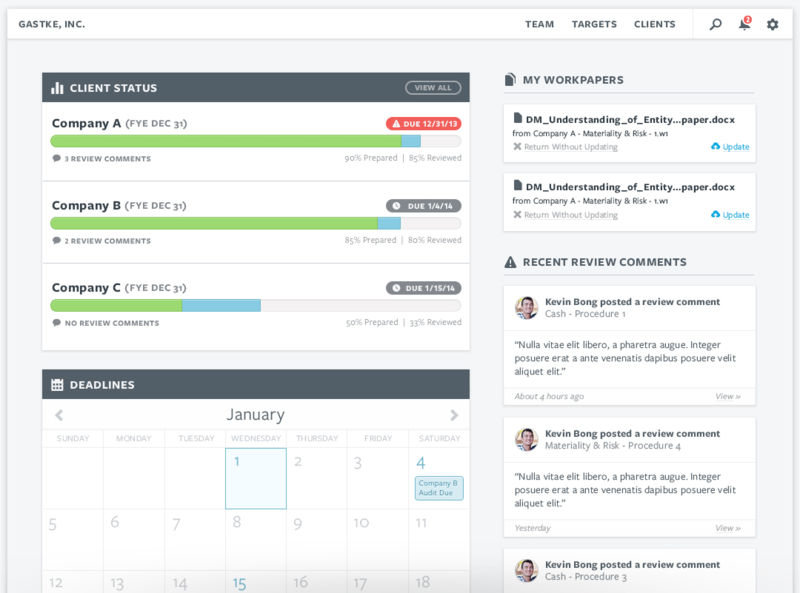 On a job site, from home, in the office, traveling abroad… AuditFile is built to work where you do. AuditFile includes the latest Wiley Advantage Audit programs and planning documents for industry-specific audits, reviews and compilations. Custom programs can also be loaded in. Click here to view Advantage Audit User Instructions. Enable multiple team members to live edit or review workpapers at the same time in AuditFile. Dynamically link AuditFile content to Excel and Word workpapers. Your data is dramatically more accessible and secure than with local storage. Two-factor authentication and 256-bit TLS encryption ensures the privacy and security of your data. 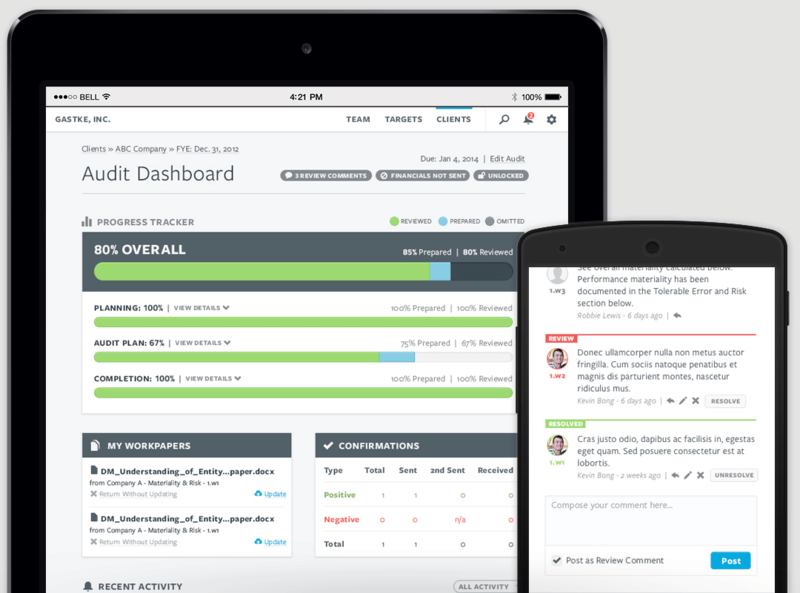 Track all aspects of an audit with an easy-to-read dashboards and real-time notifications. AuditFile analyzes key engagement characteristics to help make the best use of your time. AuditFile ensures your engagements are up-to-date with professional standards. Access your audits from any connected device, anywhere in the world. Advanced search capability makes it easy to find any workpaper, comment, or account in seconds. Track critical metrics in real time to help your firm operate at peak efficiency. Create important letters and statements with a touch of a button. Takes the pain out of uploading trial balances. AuditFile also integrates with Xero and QuickBooks Online. Real-time news feeds and notifications keep the entire engagement team up to date. Ensure that all procedures have been addressed and there are no loose ends when you lock your file. Easily set custom permissions and settings on a user-to-user basis. 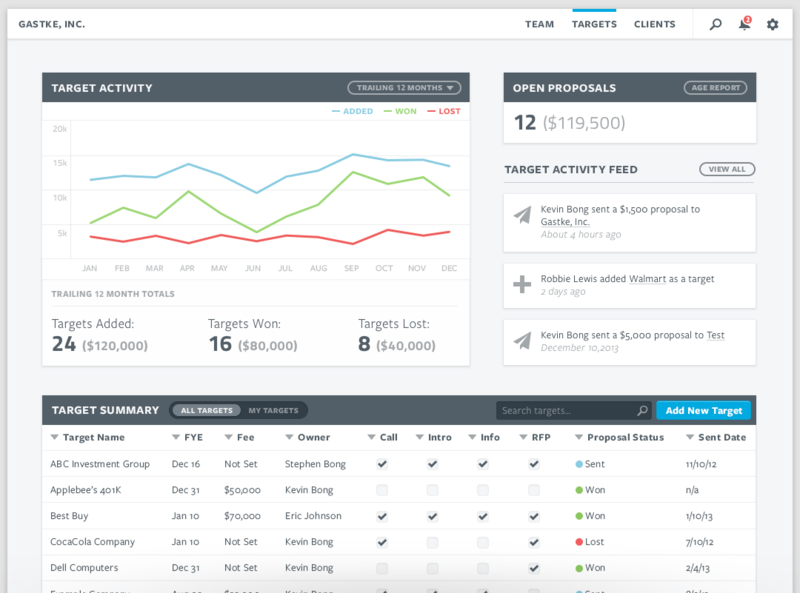 An easy to use CRM package that tracks each partner’s progress and help win more proposals.